We were talking about climbing a mountain together and after some researches in the internet, we decided to climb Mount Pinatubo. 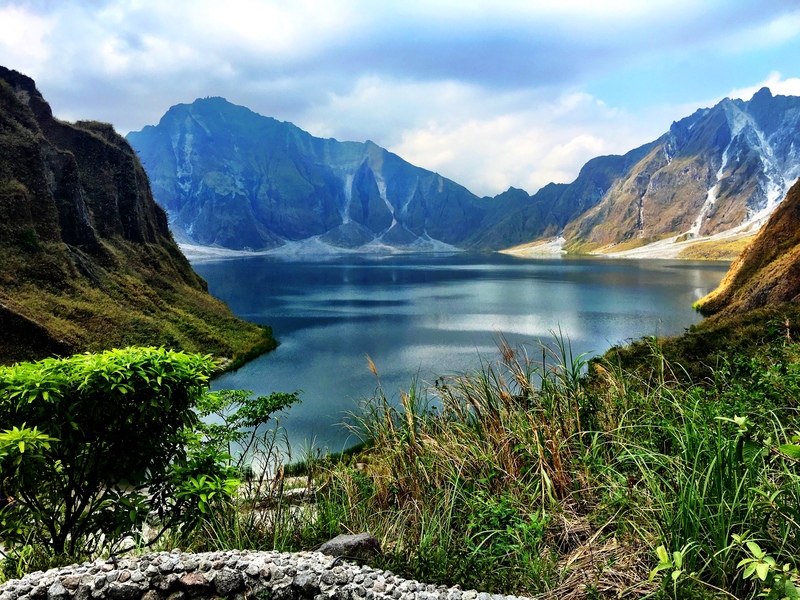 If you haven’t heard of Mount Pinatubo yet, the last massive eruption happened in 1991. The second largest eruption of the 20th century. The effects of this massive eruption were felt worldwide. About 800 people were killed that time and thousands of people became homeless. But this didn’t stop us to explore this sleeping giant. We left Manila in the afternoon and thanks to Waze we found our way to Tarlac very easily. We chose Microtel Inn & Suites by Wyndham in Tarlac for the night as the location was just perfect. After checking in, we were excited to see our room. Our room was great but when we looked closer, we questioned the cleanliness. The glasses were dirty and we were hesitant to use it. The room however, had everything you need for the night. A nice kingsize bed, an aircon, a fridge and also a seperate sitting area. After a couple of beers and watching a series on our iPhone we then went to bed. We left early in the morning and were very glad for the arrangements of the friendly receptionist for cereals and coffee to start our day and to give us the energy for the hike. We went to our car and quickly searched for Santa Juliana, the meeting point where you meet the guide and also rent the 4×4 off road to tackle the sand dune ride. A guy from Boston, Massachusetts joined us and we saved a couple of bucks. After an hour we arrived at the foot of Mount Pinatubo, the hiking spot where we began our hike along the river banks. The hike itself was not very challenging as they weren’t any steep areas. We crossed a river, went through an area where you could still smell the sulfur which colorated part of the river and jumped from one stone to another to reach our destination. “TOGETHER IS BETTER” Be part of our travels through the Philippines! The hike was really great. We thought it would be hard but it was pretty easy. The view on the summit was fantastic. We never have seen a volcano before and it was a great experience. In one of our previous posts we wrote about 3 waterfalls in a day, the hike going to the falls was so hard. We couldn’t walk for a couple of days. That opening photograph captured my attention straight away. It looks a stunning location for landscape photography. Thank you so much, glad you liked it. The scenery was indeed stunning. What a great experience! My husband (aka my #1 travel companion) and I love hiking together. Might need to add this to the bucket list! I haven’t climbed a mountain yet, but I’d love to see what Mt. Pinatubo has to offer. I was only 2 years old when it erupted, but I was able to see documentaries of it. It wasn’t pretty.